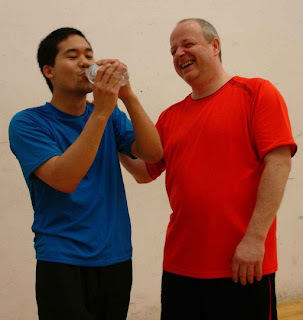 On May 29-30th, Sifu German Ferrer WT Calgary hosted a seminar by Sifu Ralph Haenel of WT Vancouver. First of all, it was great to see the class full of so many students, including three visiting senior students from WT Vancouver. Having a full class just creates this addictive atmosphere conducive to more intense training. We even had a visitor from Edmonton, a student from WT Vancouver over 10 years ago. 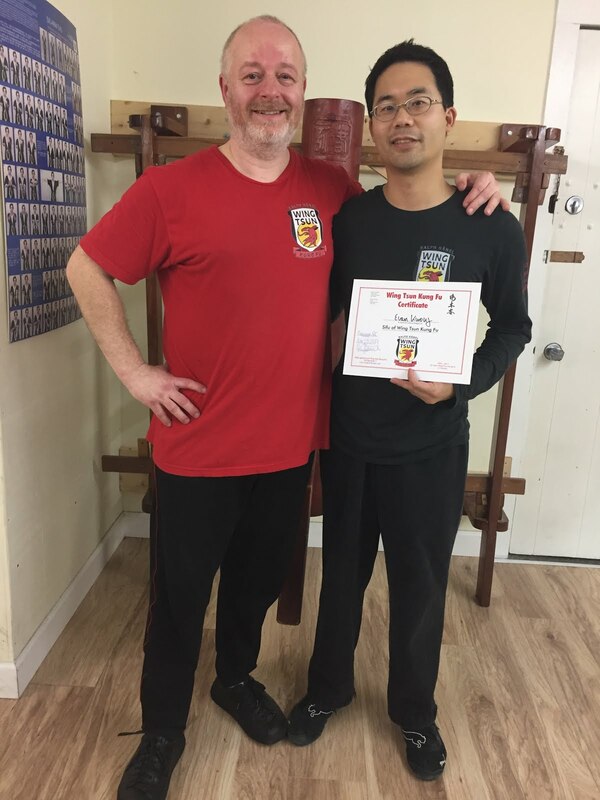 Also, Sifu Tony Tam from Saskatchewan shared his Fatshan Wing Chun knowledge with us. 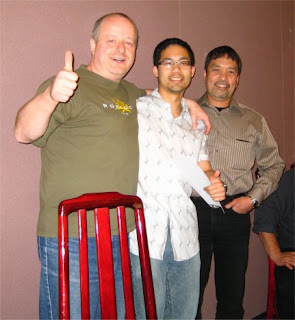 In the November 2008 seminar, I had talked about “moving your body”. What are my thoughts from this recent seminar? - Revving up a stalled engine (less training), encouraging you to re-start your training. - Or adding nitro to an already running engine, motivating you to train even harder than before. It takes a lot of devotion and energy to consistently attend group class, take private lessons, train outside of class, or train on your own, etc. Self-initiative and discipline can be difficult, and having these seminars really do help re-energize my enthusiasm for WT. In the last blog entry, I mentioned “sweating profusely” in passing. 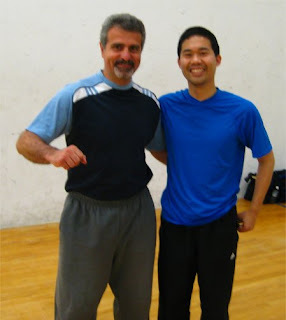 I’d also like to direct you to Brian Yam’s June blog entry entitled "Intense". The theme for this WT seminar was BlitzDefence (some videos here). 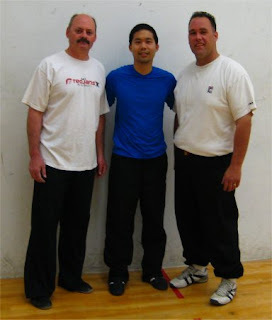 I found that this seminar emphasized the need for explosive power. Without a powerful knock-out type punch, what can you really do with your techniques? As Sifu Ralph would say, “bong sau you to death”?. During the seminar, besides training responses with our partners, we did quite a bit of stamina and punching drills before and after. Giving it all. Locking out. Same target each time. No patty-caking in the air. There were no “empty punches”. The first exercises were so intense. So intense that those arms started trembling and felt like falling right off. So intense that I could barely hold my water bottle during one of the breaks! Although we need these exercises to complement all of our training, it’s one of those things that we hate. Yes, don’t lie! How many would rather not break a sweat during a workout? But it feels so good afterwards, and think of the benefits! Unfortunately, without a large group and/or instructor to push us along, it’s difficult to work so hard until all of your large muscle groups fail, leaving you to rely on all of those new and important muscles you didn’t know existed before. If we don’t have the correctly built muscles to begin with, how can we generate the appropriate power? I’m not talking about stiff brute force, but a pliable power with properly trained muscles ("Muscles of WT", a work-in-progress). In any case, this wasn’t a chronological summary of the seminar, but again just some random thoughts I had. On Saturday, we did enjoy another buffet at the Regency Palace Restaurant like last year. Good chatting, and good eats. It’s always fun to see the WT people in their civilian clothing. Perhaps some of the WT Calgary group can make it to the seminars in Vancouver one day. I can tell you that it is a great training atmosphere there as well, with great people just like the ones we have already met so far.